Christmas decors add beauty to our home during holidays. 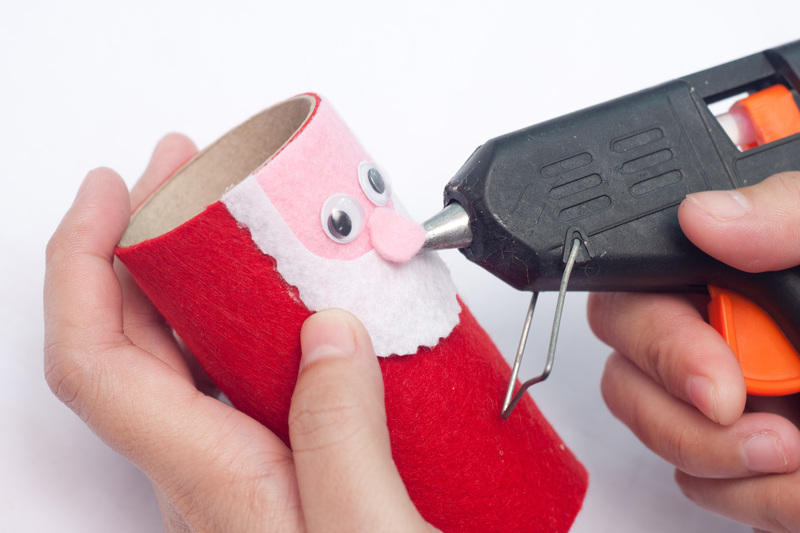 One can spend more when decorating their house, but in this project, you can recycle your unused toilet paper rolls to create a cute Santa Claus. Let us now start with this! 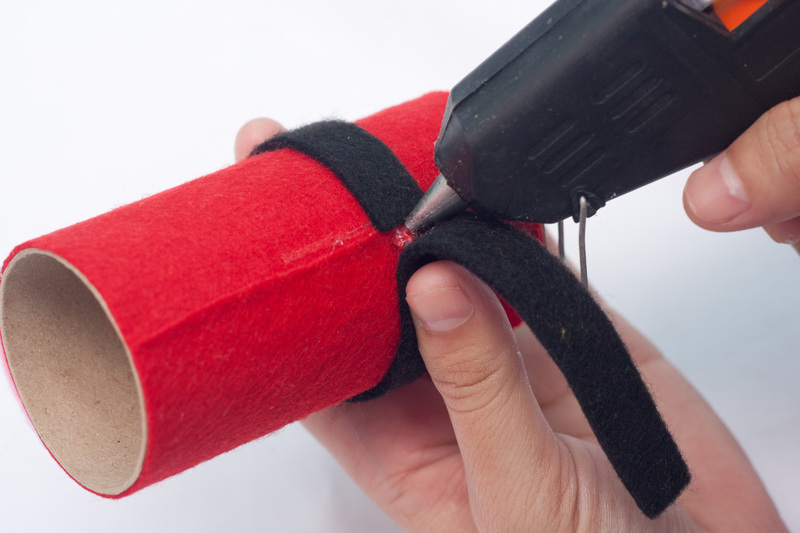 Step 2: (santa roll photo 2) Measure the needed red felt by rolling the toilet paper roll on it. 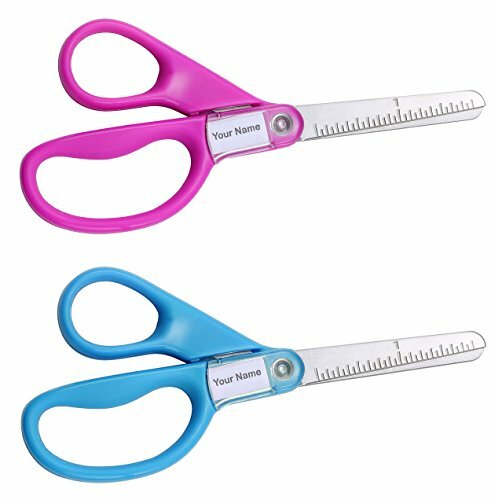 Properly mark the dimensions. 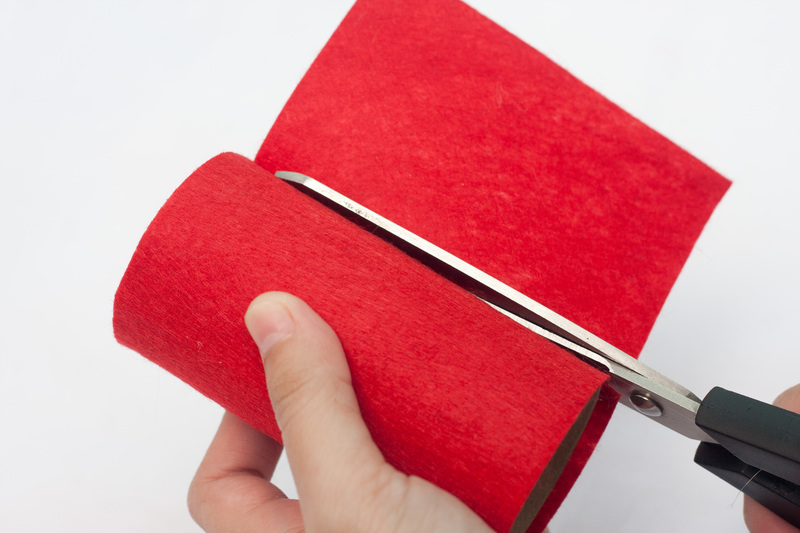 Step 3: (santa roll photo 3) Cut one side of the red felt to the width of the toilet roll. 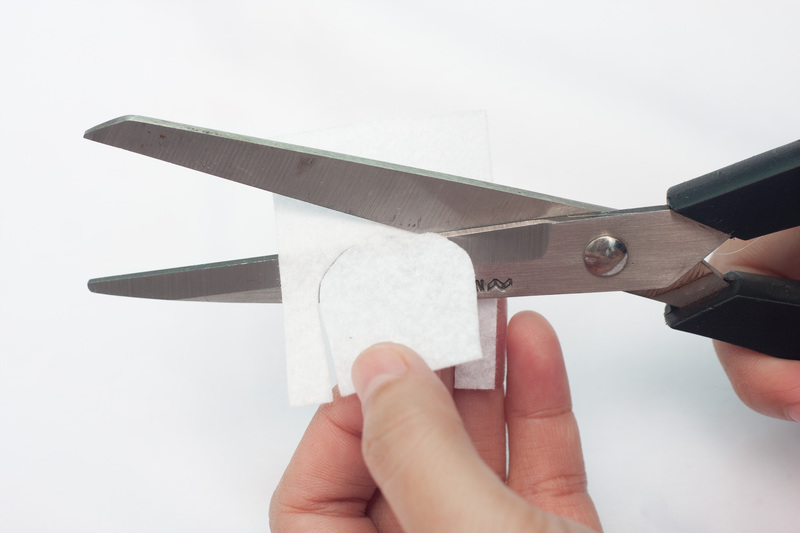 Make sure you still have enough felt to roll around the toilet roll when doing this. 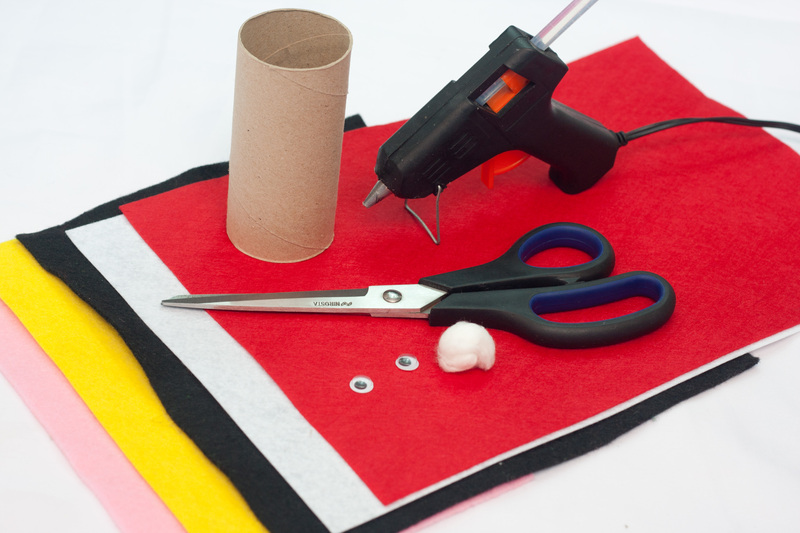 Step 4: (santa roll photo 4) Roll the red felt around the toilet roll and cut the red felt at the point it starts to fully cover the toilet roll. 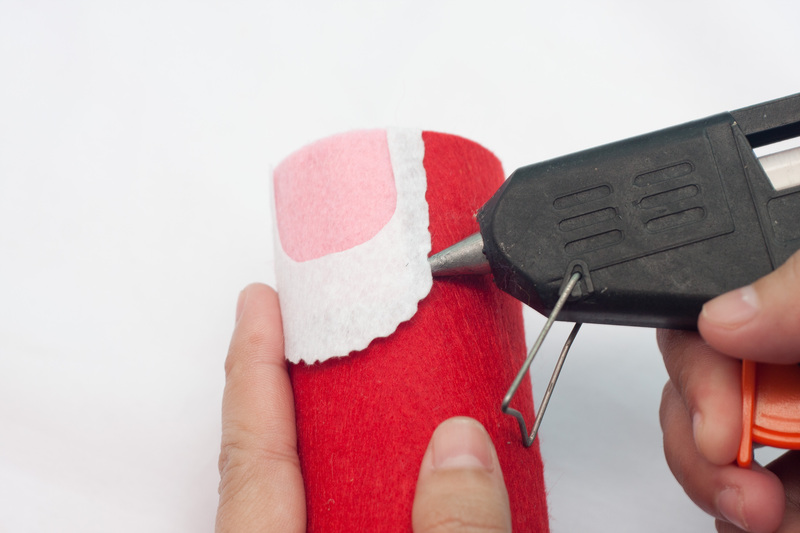 Step 5: (santa roll photo 5) Hot glue the red felt to secure it on the toilet paper roll. Step 6: (santa roll photo 6) Cut a small piece of rectangle in the pink felt. This will be Santa’s face. 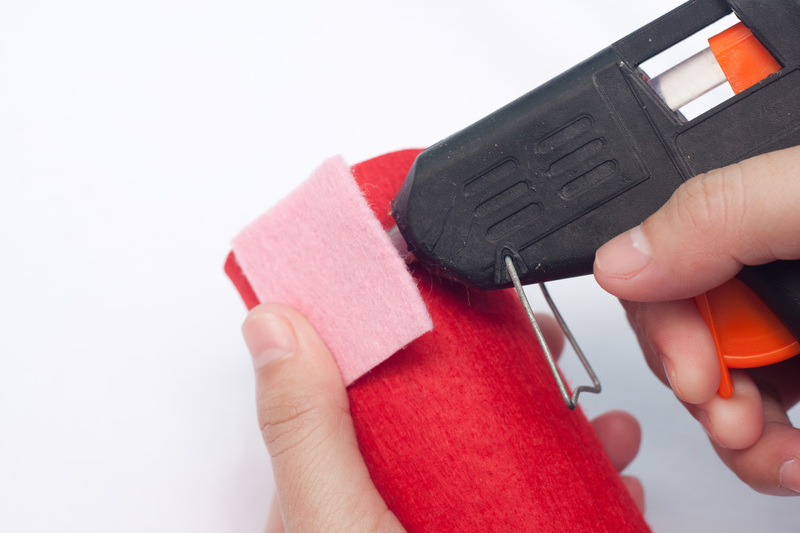 Step 7: (santa roll photo 7) Stick this pink felt on the top part of the red roll now. Step 8: (santa roll photo 8) Cut a piece of white felt. This should be a little longer than the pink one since this will serve as the beard of Santa. Step 9: (santa roll photo 9) Cut a small U-curve at the inner part of the white rectangle. 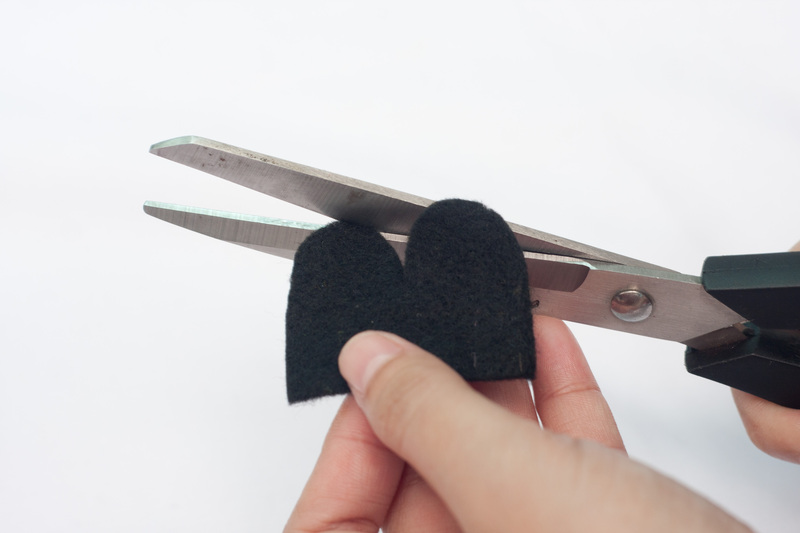 Afterward, make successive tiny curves on the outer part of this as well. This will make the beard more prominent. 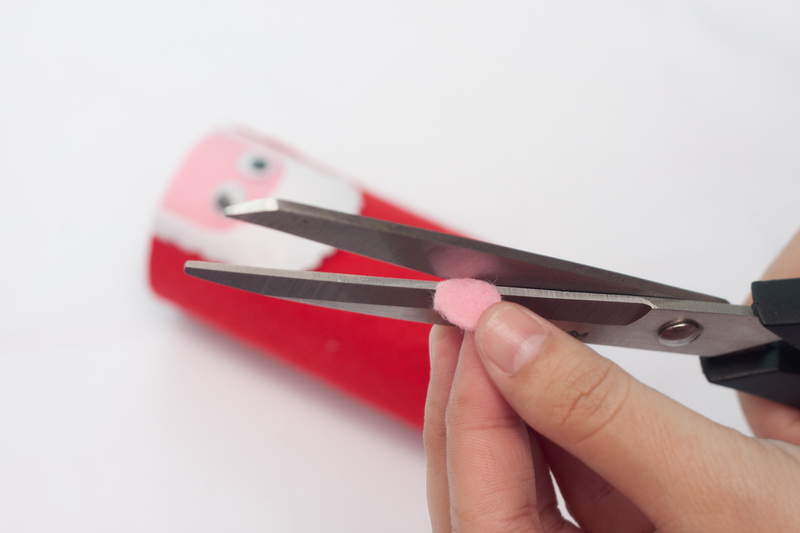 Step 10: (santa roll photo 10) Hot glue the beard on top of the pink rectangle. 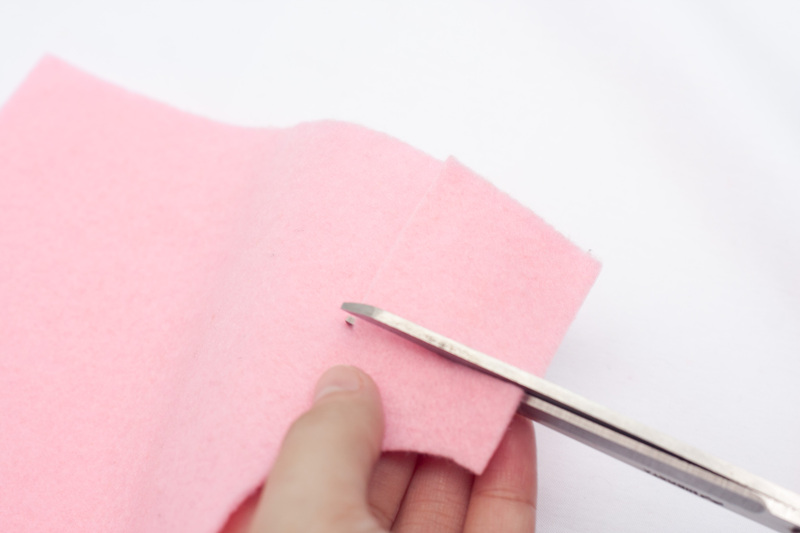 Make sure that the white felt covers the edges of the pink felt and leaves space in the middle for a face. Step 11: (santa roll photo 11) Stick the googly eyes on the pink part or the face. 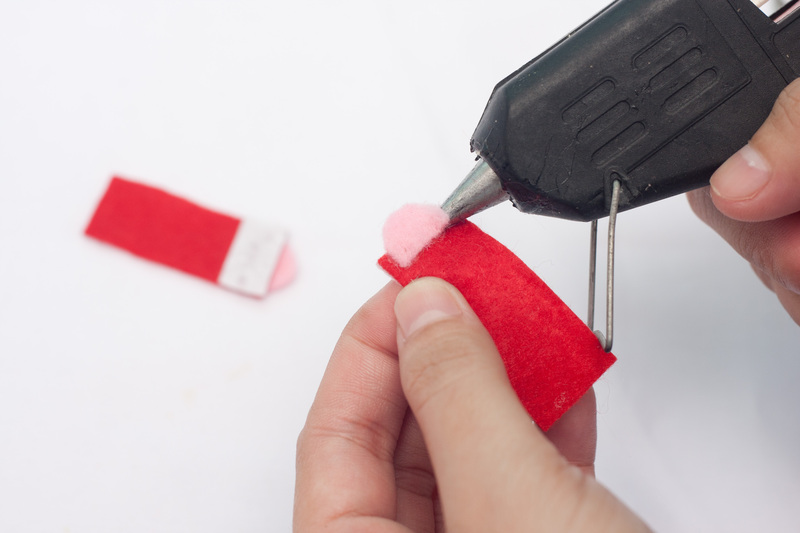 Step 12: (santa roll photo 12) Cut a small oblong shape from the pink felt. 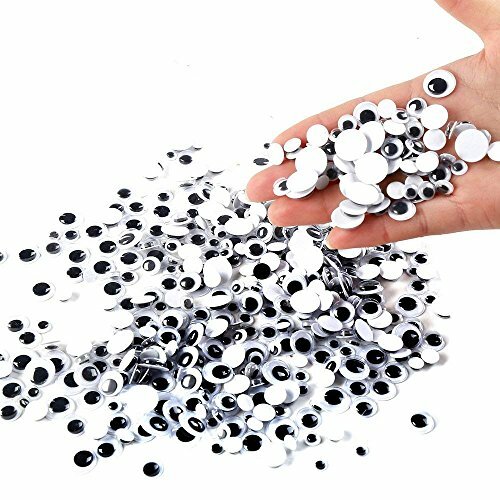 This will serve as his nose. 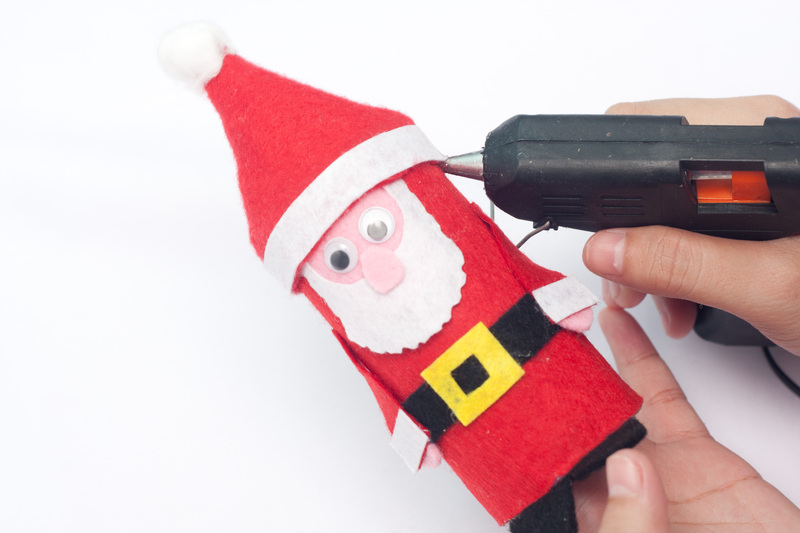 Step 13: (santa roll photo 13) Hot glue his nose just below the eyes, half overlapping the beard. 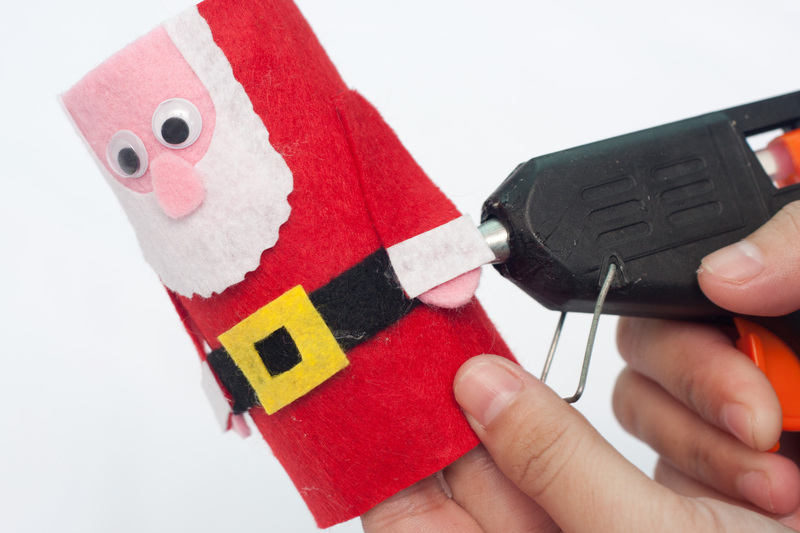 Step 14: (santa roll photo 14) Cut a strip of black felt then wrap it around the mid-level of the Santa’s body. This will be his belt. 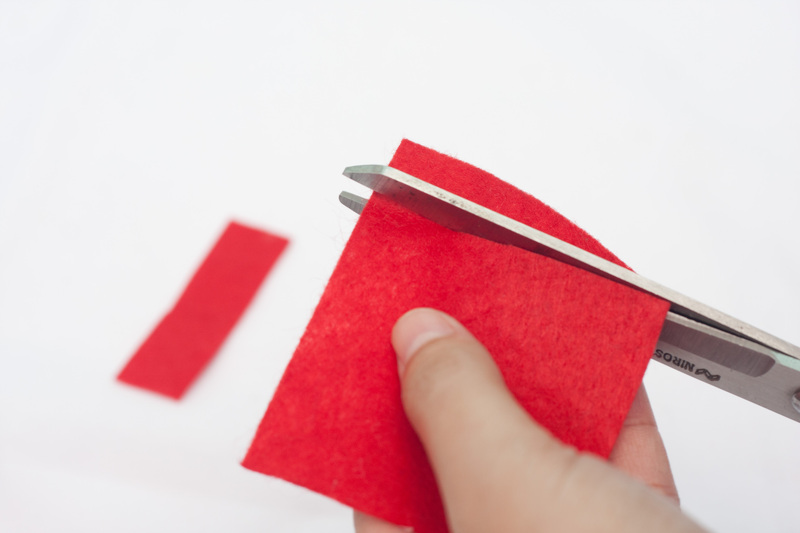 Step 15: (santa roll photo 15) Cut a small rectangle from the yellow felt that is slightly taller than the belt. This will be the buckle of the belt. 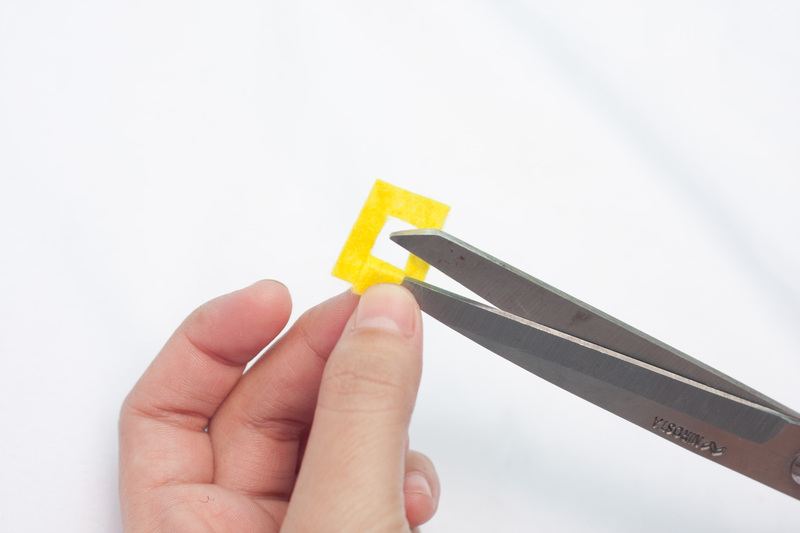 Cut a smaller rectangle in the middle part of this yellow felt. Step 16: (santa roll photo 16) Hot glue the buckle in the middle of the black belt. 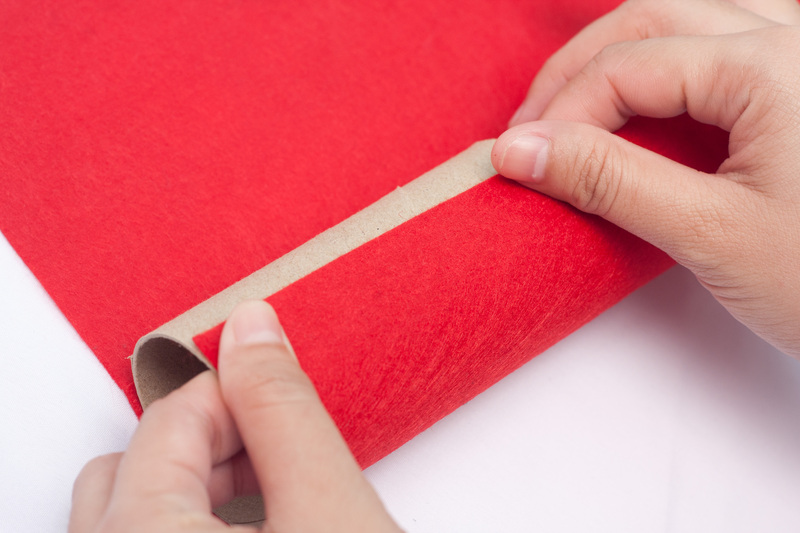 Step 17: (santa roll photo 17) Cut two short strips of red felt. 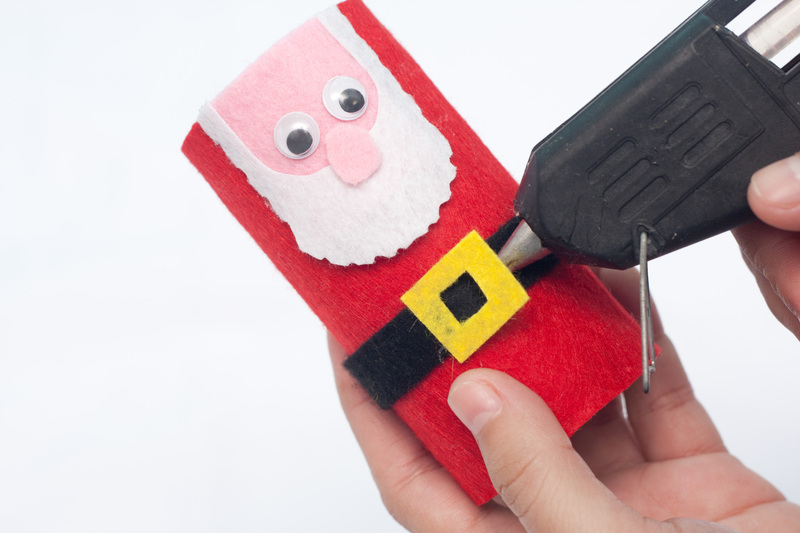 These will be Santa’s arms, so use the distance between the face and belt to decide how long they should be. Step 18: (santa roll photo 18) Cut two small strips of white felt that will fit the width of the arms. 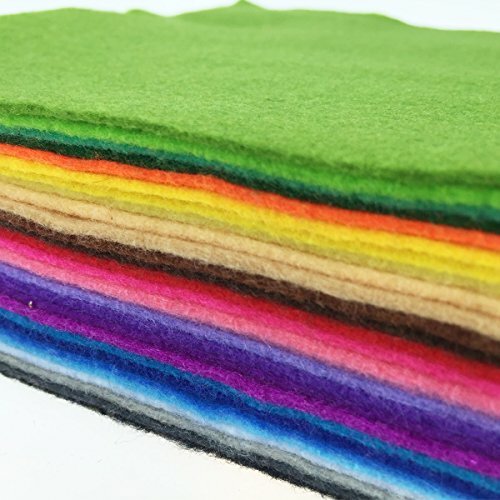 These will be the lining of Santa’s coat. 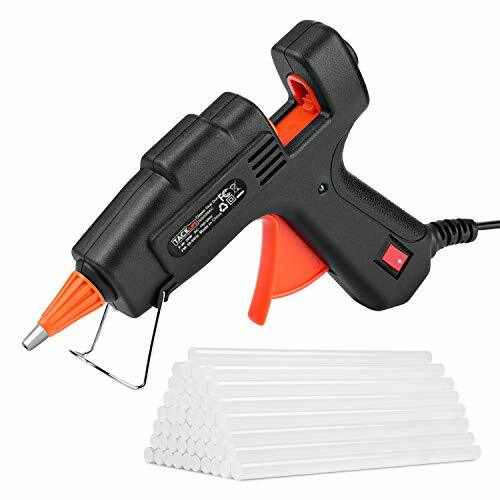 Hot glue these white strips on one end of each arm. 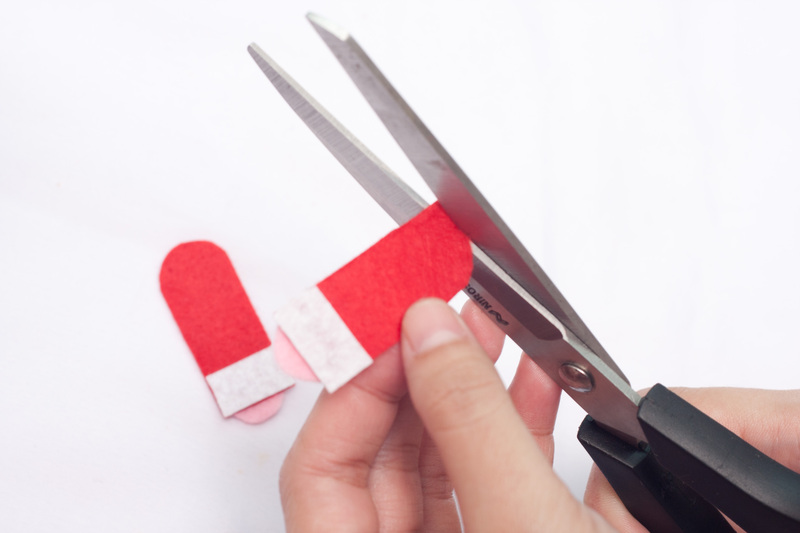 Step 19: (santa roll photo 19) Cut two small D-shaped pieces of pink felt, then hot glue these pink pieces to the white lining of Santa’s coat. These will be the hands of Santa. 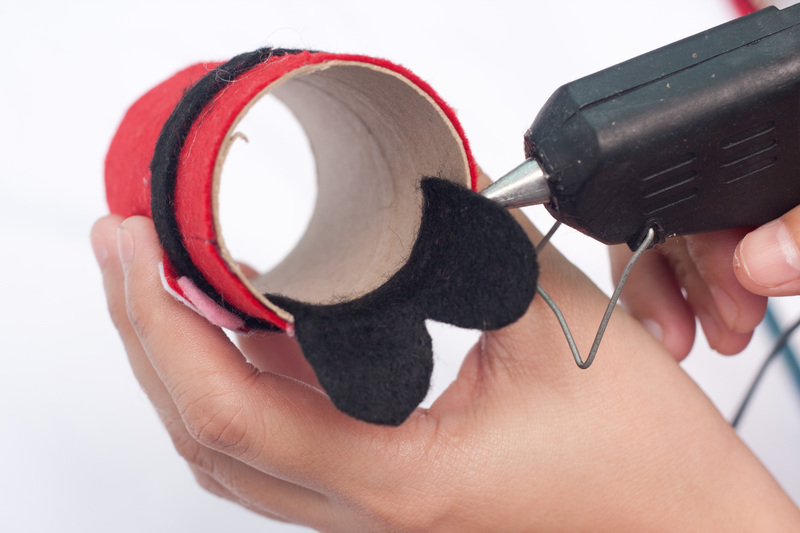 Step 20: (santa roll photo 20) Cut a curve into the opposite side of Santa’s arms. Step 21: (santa roll photo 21) Hot glue the arms on the side of the body. Step 22: (santa roll photo 22) Cut a small rectangle from the black felt, then curve one end into an ‘M’ shape. This will be his shoes. Step 23: (santa roll photo 23) Stick his shoes on the bottom part of the body. 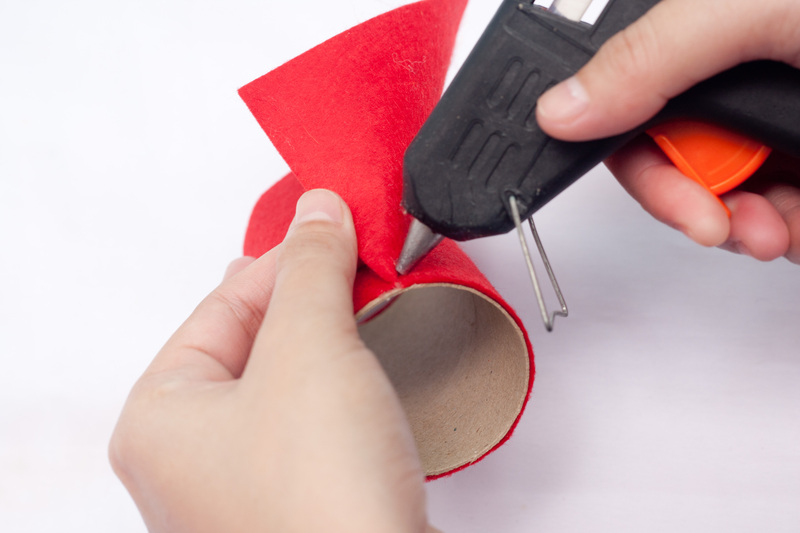 Step 24: (santa roll photo 24) Make a Santa hat by making a small cone-shape using the red felt. 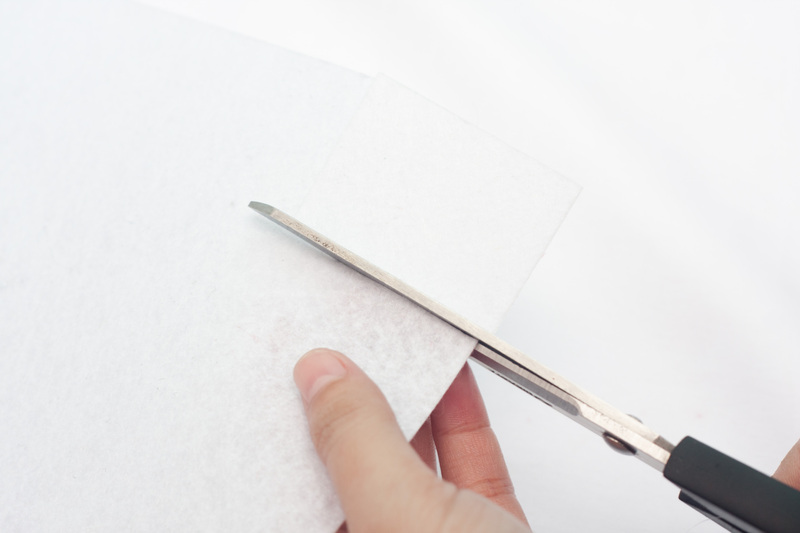 Make a white lining on the bottom of the hat by cutting a strip of white felt. 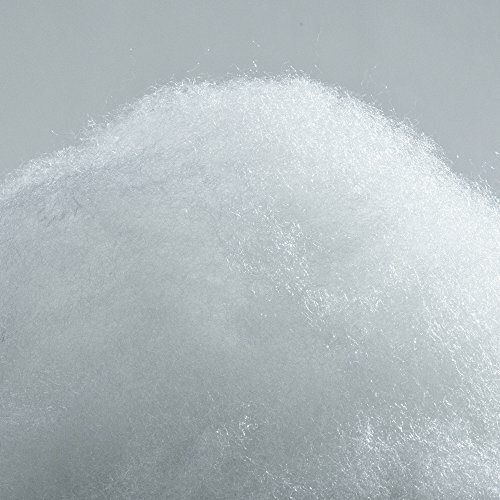 Glue one of the white pompoms on the tip of the hat. 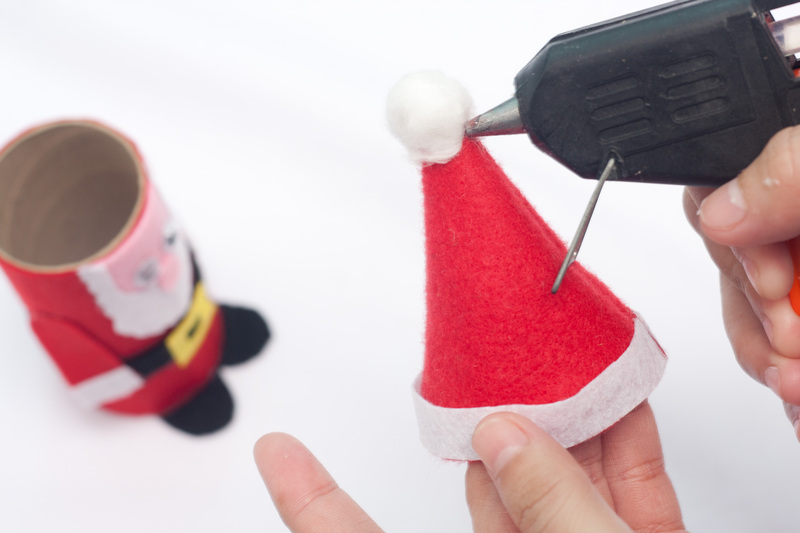 Step 25: (santa roll photo 25) Fix the hat on Santa’s head by using hot glue. Step 26: (santa roll photo 26) Finally done with Santa! He is now ready for display. 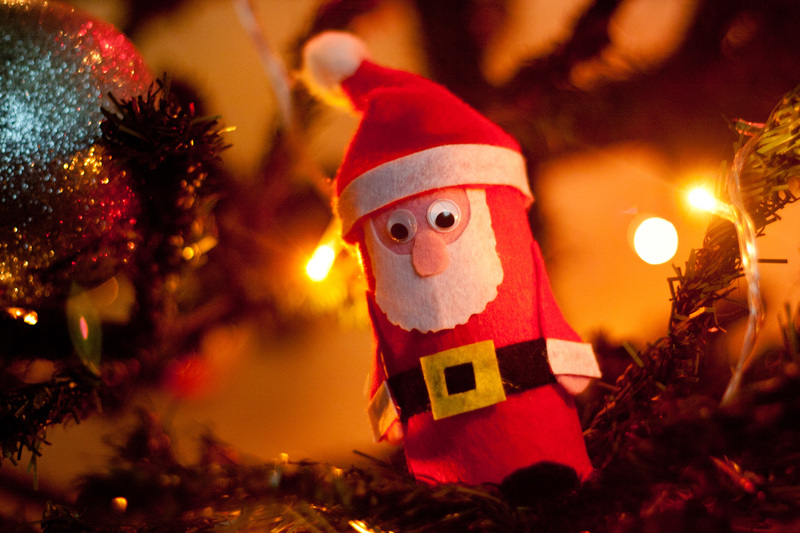 Step 27: (santa roll photo 27) You can display your Santa Claus décor on your Christmas tree or on your tabletop. This Santa Claus décor can be displayed anywhere. You can even get more creative and add more designs such as his glasses. 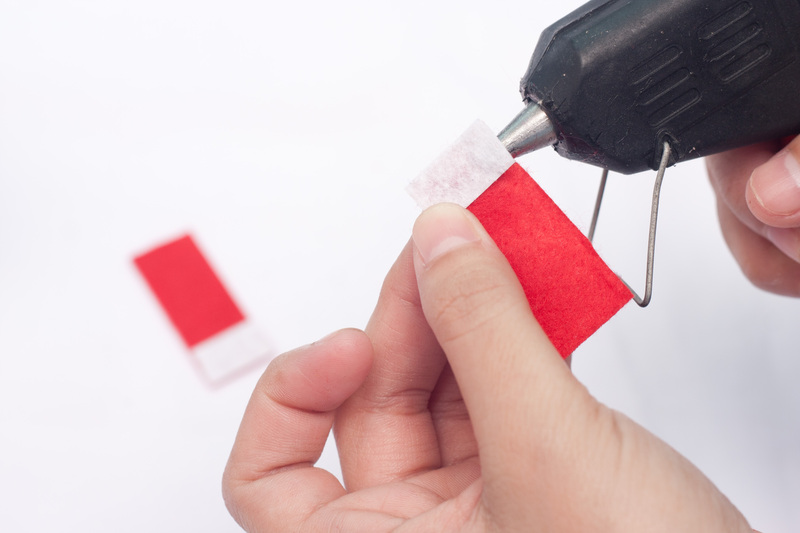 Making this is a good activity with your kids. 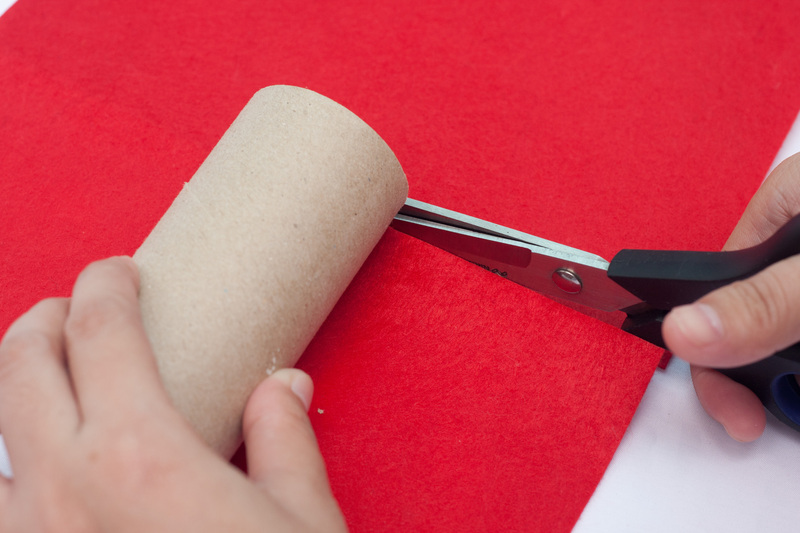 You can finally transform your plain toilet paper roll into an awesome décor for the holidays. 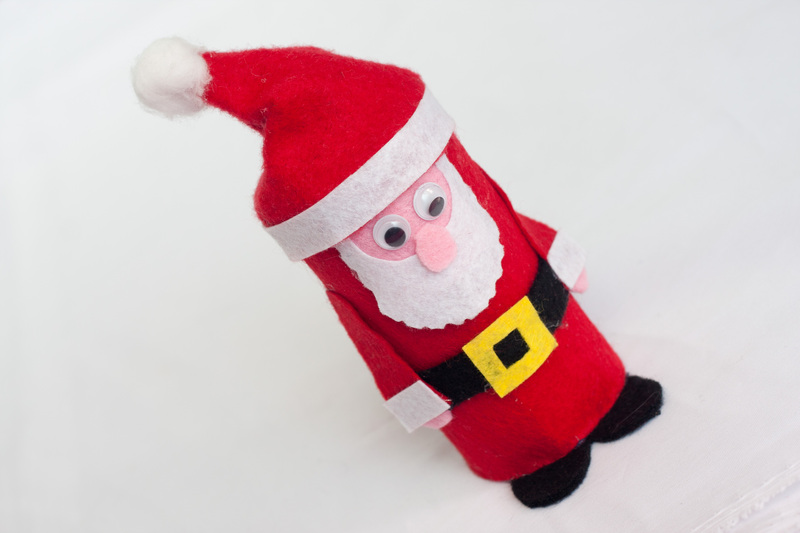 This entry was posted in Arts And Crafts and tagged christmas santa claus decor, create a santa claus decor, diy santa claus decor, santa claus toilet paper roll, toilet paper roll santa claus decor.